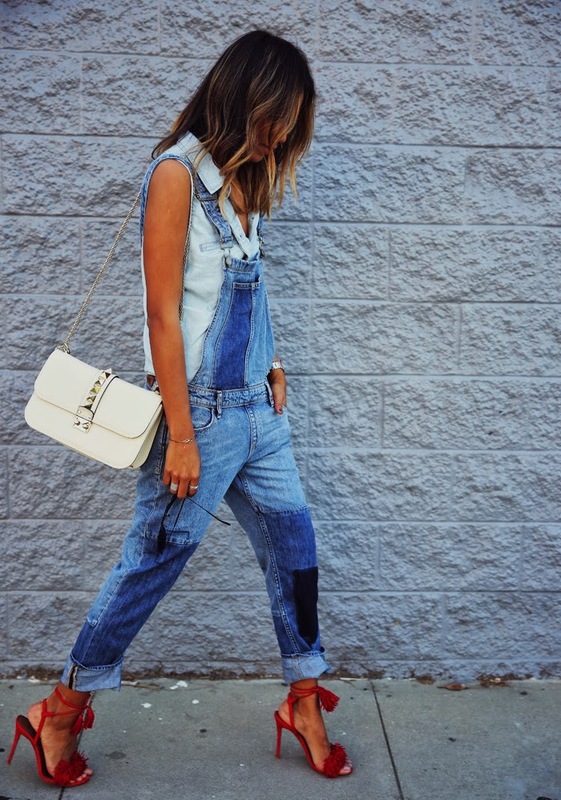 Home › aquazzura › Chanel › denim › Look for Less › splurge › Spring Style › style › Valentino › Who Wore It Best? 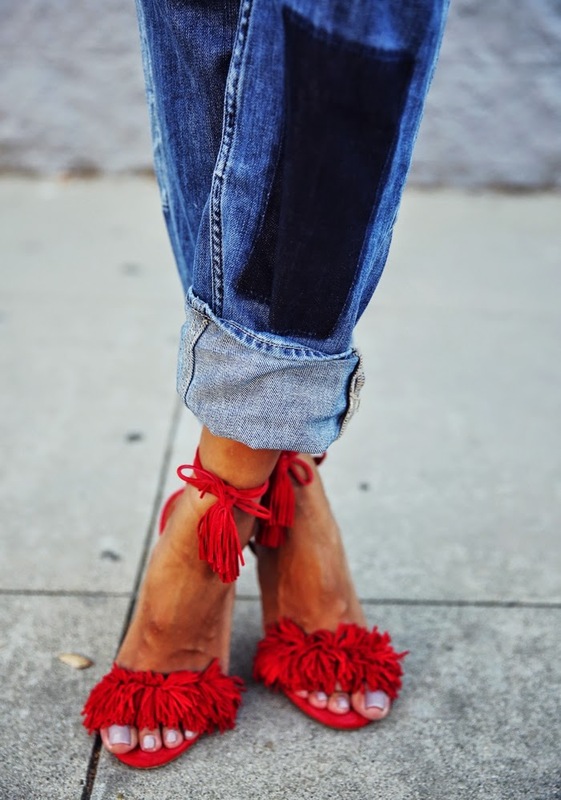 While everyone is vying for anything Aquazzura that laces up, these suede tassel fringe heels from their Spring/ Summer 2015 collection have become wildly popular, surpassing Aquazzura's previously famed coveted designs. These Wild Thing sandals in poppy red are undeniably the splurge worthy shoes of the season, especially amongst brazen bloggers who expertly styled them with hi-lo looks. Check out who boldly embraced these sultry shoes from this highly lauded designer and then decide who wore it best?